Just nine months ago, the Sea Island Coalition was encouraging public officials to find a way to save Whitehall. “Not for sale,” said the developer. Now, just before shovels start to hit the earth, a whole ten acres – half of the Whitehall parcel – pops up for purchase, and to the credit of a lot of people, there’s an effort on to find the funds to make it happen. 1. What’s all this talk about a park at Whitehall? We’ve been talking for years about a park at Whitehall, and it may be in the offing! Woo hoo! Virtually everyone agrees that Whitehall – the approximately 20-acre tract at the eastern end of the Woods Memorial Bridge in Beaufort – is an iconic property and deserves to be conserved. And until the Beaufort County Open Land Trust announced Thursday that “A Ten-Acre Public Park At Whitehall Could Be A Reality,” most thought that approval of a development plan last February meant the park opportunity had disappeared. Thursday’s OLT announcement was the first official acknowledgment that discussions about a park are underway. 2. Where will the park be located? The area currently identified for the proposed park is an approximately ten-acre parcel on the western point of Whitehall. The identified section runs along the river bluff from the old road into the property from the Woods Memorial Bridge around the point toward the southern end of Harborview Circle. The proposed parkland does not extend far enough to intersect with either Harborview Circle or Meridian Road. 3. Why is this happening now? Why not six months ago? 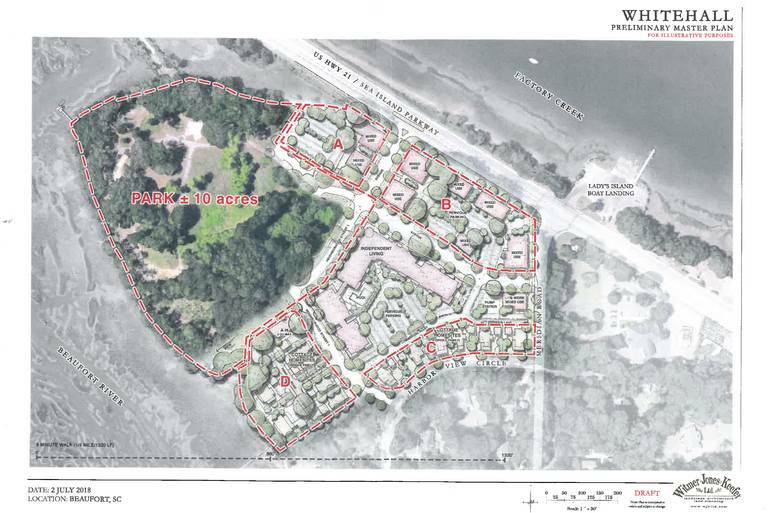 The Sea Island Coalition late last year encouraged the then-development consortium, Mid-City Partners and Sam Levin, to consider selling the Whitehall tract so it might be preserved. The Open Land Trust and others investigated, and at the time, were told that Whitehall was not for sale. 4. How much land is involved? The entire Whitehall tract is approximately 20 acres. As part of the development plan approved in February, the developers offered to donate one acre (near the proposed access from the Woods Memorial Bridge) and provided for in the plan an approximately two-acre “open space” just west of a planned Independent Living facility. What is effectively being offered here is actually just seven new acres of open space. 5. Whose idea was this? A park at Whitehall has been on many people’s wish list for many years – including ours! – but prohibitive costs have always rendered this impossible. The current initiative sprung from discussions between County Councilman Paul Sommerville and Beaufort City Manager Bill Prokop. Informal discussions with developer Sam Levin had led to Levin’s offer “to consider the possibility of the sale of up to 10 acres” of the parcel. It was at that point that the search for funding began. Suffice it to say that the developer, every elected official in the County and City of Beaufort, the Open Land Trust, The Sea Island Corridor Coalition, The Coastal Conservation League and several private foundations are all part of on-going discussions about the park proposal. 6. How much will this cost? The developer is said to have asked for $6.5 million for the ten acres, or $650,000 per acre. An Island Packet story on Friday quoted Council Councilman Paul Sommerville that the property was now valued at $680,000 per acre. County tax records carry an appraised value of just over $2 million in May 2016 for the entire parcel or about $101,000 per acre. Using the extremes, there is a $500,000 per acre difference in valuations, so there is a lot of room to negotiate a price that is fair to the developer, to taxpayers and to the private foundations involved. 7. Who will be paying for it? The parcel would be purchased with a combination of public and private funds, and likely designated as a “passive park.” The City and County have agreed to maintain the property if converted to parkland. 8. We just approved some reasonable development at Whitehall after a long battle. How will this affect that? Acquisition of part of the land at Whitehall will remove part of the property from the development plan. 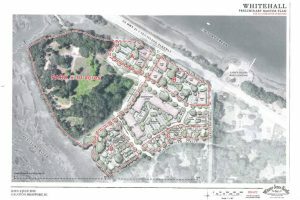 The remaining property will be developed as retail/commercial space along the Sea Island Parkway, a four-story 100-unit Independent Living facility, and a group of cottages/cottage homesites along Harborview Circle and on an adjoining parcel on the southwest section of the property. One “apartment house” structure of a maximum of four stories will also remain according to the conceptual master plan presented in February. 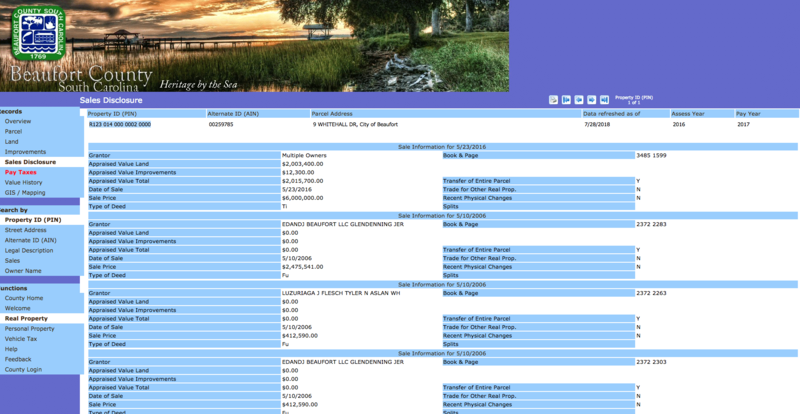 However, if the acreage remaining after the sale is under ten acres in area, all subsequent decisions on the property will be done “administratively,” by the City of Beaufort, without significant opportunity for public review or comment. As well, should the remaining acreage be sold, or further subdivided, all approvals will likewise be done “administratively,” without public review. The Coalition would advocate for at least 10.2 acres in the remaining acreage, so the Metropolitan Planning Commission – and the public – would have an opportunity to consider significant future changes in a public forum. 9. What is the Coalition’s position on this proposal? 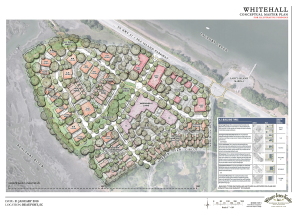 The Sea Island Corridor Coalition has always favored parkland and open space at Whitehall. We tried to pursue this more than nine months ago. And we support this effort to establish a park there. However, we also recognize that there is more to this than simply buying a piece of land and dedicating a new park. Longer-term, what happens with the size of the remaining acreage, and the development of the remaining acreage exactly as shown in various “illustrative” exhibits presented by the developer in his application are both matters our community is concerned about. In a sale such as described, the developer is removing a number of large residential and apartment properties from his original plan, and we suspect the community would object strongly if these were merely relocated to areas of the remaining acreage. If part of Whitehall is to be developed, we want to see it developed just as illustrated and presented to the MPC and the public. If the plan shows cotttages/cottage homesites, that’s what was approved and should be built. 10. Why shouldn’t we like this idea? It could be very expensive. It could eat up a large portion of available public funds for land conservation, limiting future opportunities. It could remove from public review any changes to the remaining acreage. It doesn’t guarantee that what was approved for Whitehall will be built as described. 10A. Why should we like this idea? It would be a great park, in a great location. It would be a smart use of public funds in partnership with private foundations. It would have the support of most of the public, and most public officials. Do you have a view? 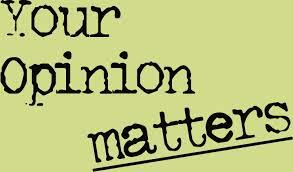 Send us an e-mail at whitehall@seaislandcoalition.com and tell us what you think ought to be done at Whitehall.